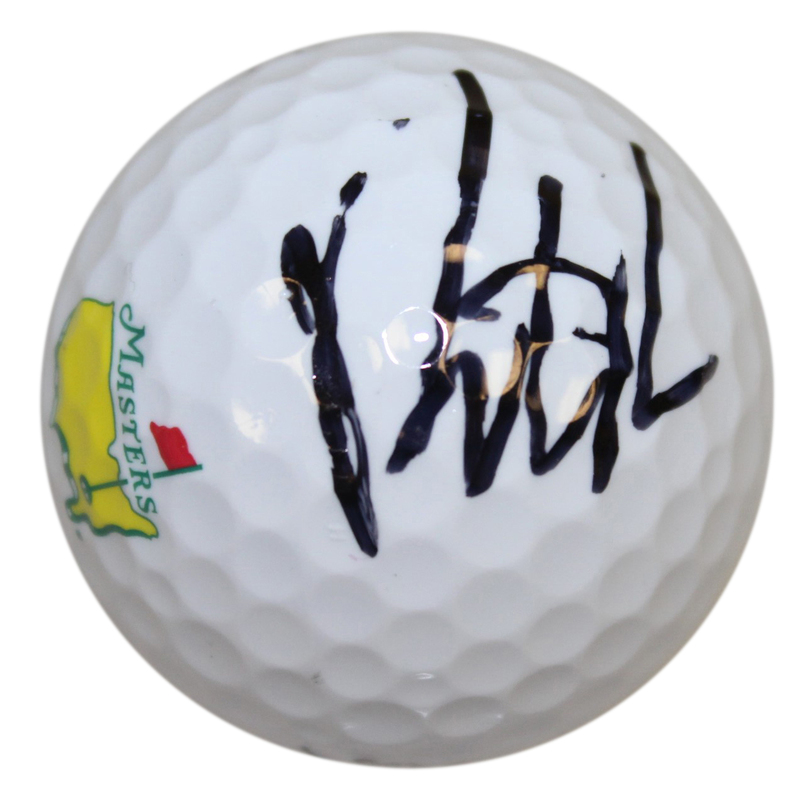 Presented here is a Masters Tournament logo golf ball signed by Patrick Reed. 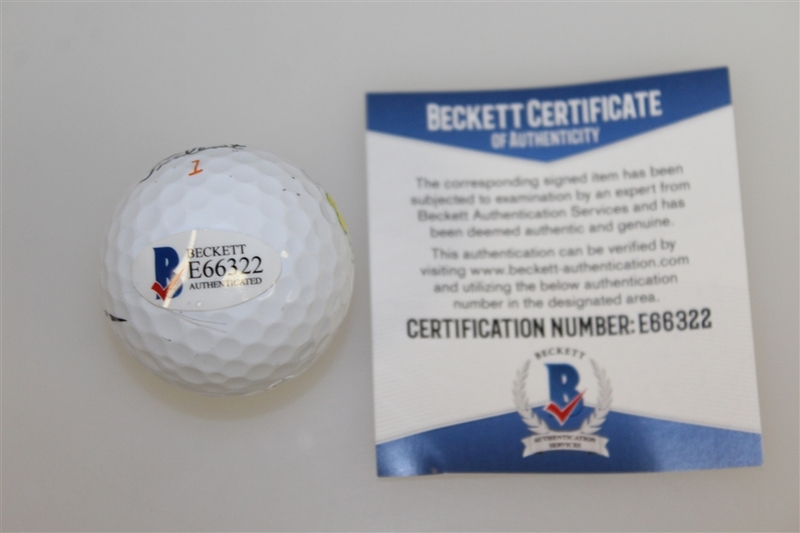 His signature comes with Beckett authenticity #E66322. Reed's scorching first two rounds of 69 & 66 helped him fight off the surging Jordan Spieth and Rickie Fowler to claim his first Major title.